Despite the fact that the dress is trimmed with pink ribbon, this rosy-cheeked child with the endearing smile is actually a little boy. The convention of dressing boys in blue and girls in pink did not gain popularity until the twentieth century. 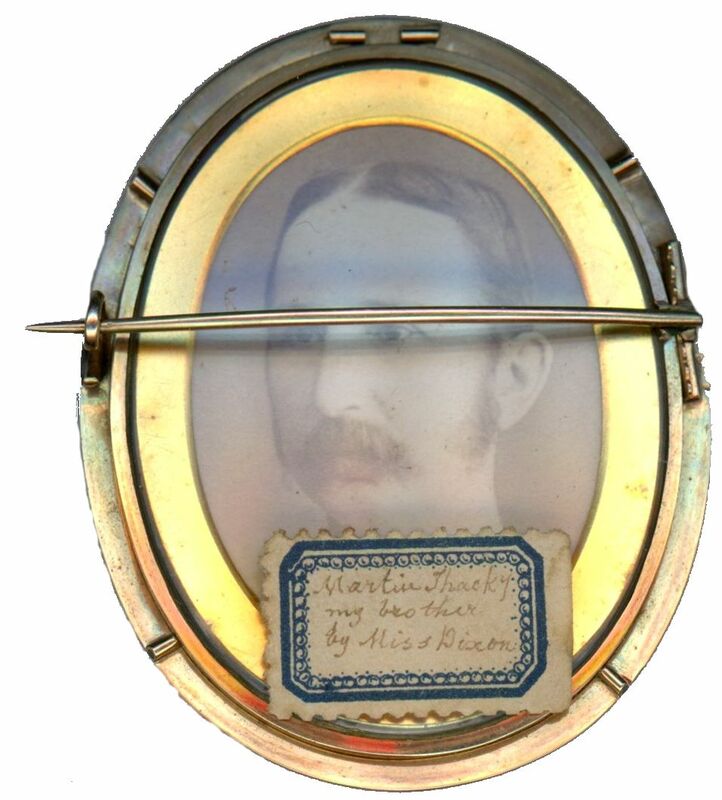 Dating to around the 1840s or 1850s, an old label on the reverse of the portrait, written by the sitter’s sister, names the child as Martin Thacky whilst an old sepia photograph shows Martin in later years. 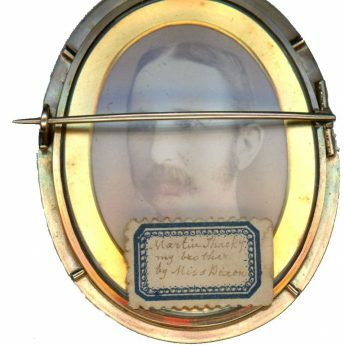 The portrait is set in a brooch frame that is glazed on both sides. 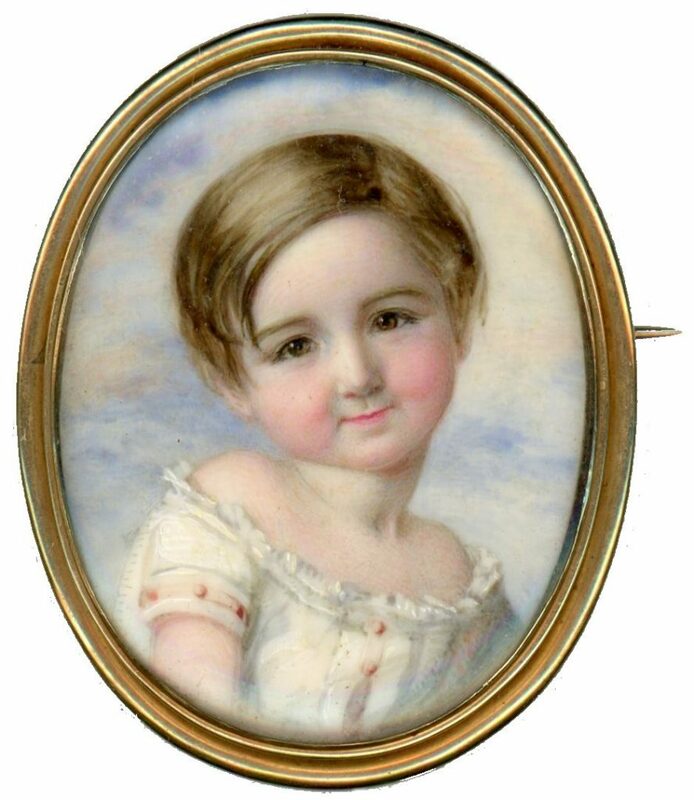 Apart from a speck of dust on the underside of the glass just over the child’s hair towards the right side, the portrait is in fine condition. Born in Horncastle, Annie Dixon was taught miniature painting by Mrs. Dalton (sister to the well-known miniaturist Sir William Charles Ross). She exhibited at the Royal Academy from 1844 and found clients amongst the Royal Family and the English aristocracy.